Not Winter, UrbanMeisters, but CHANGE IS COMING! As the first sustainable lifestyle community of over 30.000 urbans working towards everyday green living and fighting pollution, we’ve achieved several milestones and grown by leaps. But the best validation of our work is when we’re told that we have helped make a change! Our proudest moments are when readers get back to us about the motivation they receive from this platform. We believe in being the change we want to see in the world and today’s feature is a validation of this commitment. We are very excited to present guest writer Giles as he steps forward (encouraged by a piece on UrbanMeisters!!) to share his ideas about the problems with diesel powered cars and diesel pollution. Each one of us loves to feel truly ‘gangsta’ driving powerful SUVs & MUVs to the beats of the latest trending hip hop number! But the reality of these gas guzzling cars is not so cool! Most of these are diesel powered which is a big urban pollutant. Vehicular pollution is a serious city menace linked to many health problems like respiratory diseases, headaches and allergies. And diesel transport tops the list in vehicular pollution. A big factor is that this fuel is relatively cheaper all over the world so it fits in the lifestyle economics of most urbans better. But what about the negative impacts of this choice? Today’s feature is an investigation into diesel pollution with guest writer Giles Kirkland- an automotive expert at Oponeo who is always after testing out new technological and eco-friendly solutions. He is trying to break that stereotype that “eco” and “drive” doesn’t go hand in hand. As a car mechanic by trade and an automotive writer by passion, he’s happy to advocate green and responsible driving across different platforms. Lets hear it from the expert why diesel is a strict no go! Some days when I’m walking down the street, I get thinking about the effect we’re having on the environment. As traffic constantly rumbles around me, as I go about my daily life, I can’t help but notice the pungent stench of diesel in the air as another gas-guzzler races on by. As an eco-friendly traveller, I ask myself, “Why do we need diesel anyway?” In this day and age, in the wake of the electric car revolution, do we really diesel engines, or is it time to say goodbye to diesel pollution? Sure it was fun while it lasted, but diesel engines are killing the environment. As an eco-friendly driver, I long made the decision to commit to fuel efficient driving, so naturally I’m not to fond of diesel engines. It seems I’m not alone, as diesel has been falling out of favor for damaging the environment. It’s been announced that international bans on diesel will be implemented in Paris, Athens, Madrid and Mexico City by 2025. As more and more of us make the switch to ecofriendly lifestyles, diesel has become excessive and tolerance for diesel pollution is dipping. Diesel cars have been getting a lot of stick because they create 10 times emissions of trucks and buses. Diesel engines are also large producers of NOx, an irritant that can have a devastating impact on the environment. In petrol cars, catalytic converters reduce emissions so that it emits around 30% less NOx. It’s no surprise as to why these diesel pollution tanks are on their way out in urban areas. The driving community has never fully embraced the concept of diesel engines, so it’s no surprise that many drivers will be glad to see them go, but let’s not get our hopes up too much! As much as I’d like to see them off the roads, I have to concede that diesel engines are a pretty good alternative to petrol engines over longer journeys. Diesel engines provide solid fuel economy, which helps keep vehicles that need to carry heavy loads cost effective. It’s unlikely that diesel engines will be off the roads in the short-term, particularly when so many trains, taxies and business vehicles use it to get by. What’s the problem with diesel engines? The key problem with diesel as it simply pollutes much more than petrol cars. In fact, diesel pollution accounts for almost half the NOx and about 70% of particulates in London air (which explains all the sooty deposits on the roof!). Most petrol cars built today require much less maintenance, and produce much less pollution than diesel cars. Over the years, manufacturers have made a number of attempts to reduce the emissions caused by diesel engines through components like particulate filters. 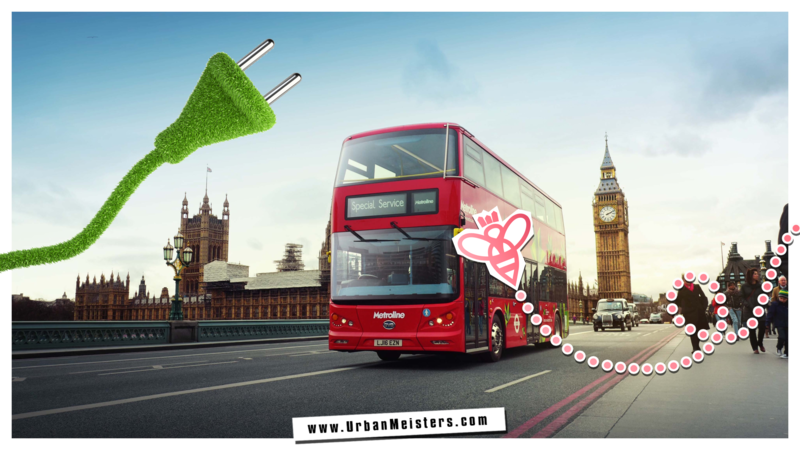 Above: London runs on electric buses! Particulate filters are designed to trap soot internally in order to reduce pollution. The problem is that these filters have a limited capacity, which means that excess soot needs to be periodically cleared in order for the system to work. Once the system fails, diesel cars will literally give off black smoke when they accelerate! It’s illegal in the UK to remove a diesel particulate filter, and the owner can be fined up to £1,000 for removing one. What does the future hold for diesel? When I think of diesel’s future, the first thing that comes to mind is legislation. I believe that national governments are going to place so many regulations on diesel vehicles that they become too much hassle to drive. We’re already seeing shades of this in Norway, where the Norwegian government has announced it will be implementing a ‘polluter pays’ tax system, which will incentivize the purchase of lower emission vehicles. By incentivizing buyers to opt for eco-friendly alternatives to diesel, Norway is also encouraging automakers to leave diesel behind altogether. After all, why would you continue to make a product that is penalized and carries a destructive reputation? It would make much more sense to invest in products that have a future, rather than those that will be exiled from major cities in 2025. Though Norway is alone in taking this stand thus far, its clear that other nations around the world share the sentiment of restricting the impact of diesel on our environment. It’s rather promising that the outdated diesel engine is facing so much backlash, and I would be surprised if diesel can last long after 2025. After all, what French automaker would want to make a car that was literally excluded from driving around Paris? Whilst the cat is out of the bag for diesel, given the prominence of diesel engines, and their worldwide popularity, it will be some time before they disappear altogether. Diesel delivery vehicles, vans, buses and heavy goods vehicles aren’t going anywhere for now. However, the international attempts to legislate against diesel pollution in urban areas are not to be taken lightly. Diesel has been recognized as an environmental threat, and has acquired a massive PR problem. As more and more of us make the transition to eco-friendly lifestyles, there will be much less tolerance of vehicles, and legislation will begin to further obstruct the progress of diesel. Whilst there’s no ban planned for the foreseeable future, it’s not far off to say that diesel could very easily be banned within 15 years. As we enter the era of electric cars and sustainable energy, it might not be far off to say that the days of petrol cars are numbered as well. France is in the process of planning to ban the sale of petrol and diesel cars by 2040. Of course this is a long way off, but as we become less tolerant of unnecessary pollution, we’re going to become opposed not only to diesel engines, but petrol engines as well. Diesel may remain for a few years yet, but the public has spoken: the soot has got to go. Above: Why electric cars are the future. So UrbanMeisters let’s make #SayNoToDiesel the bigger trend than diesel guzzling SUVs! Take it from famous greenie Elon Musk whose Tesla Motors is revolutionising the world of automobiles. As your one stop shop for all green solutions we’ve give you many sustainable commute tips, updates and choices that are practical and convenient. 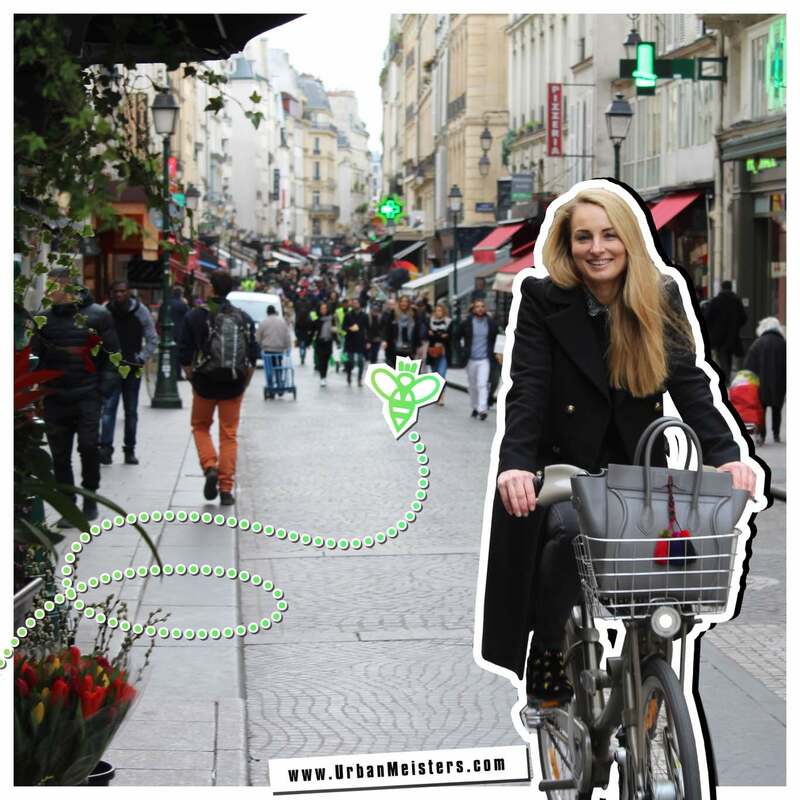 Like our Founder Mirela Orlovic’s green commute tips. We introduced you to urban Joe Thomas who gave us an insight into the benefits of choosing green transport options among other modern sustainable lifestyle choices. We also gave a handy infographic on how car owners can make the drive green. Understanding that diesel is an eco-enemy many countries are pushing cleaner energy powered public transport like the first hydrogen powered passenger train in Germany or the electric bus fleet in London. Clean and renewable enery powered cars are also on the rise. Lets make our urban commute green and reduce diesel pollution at our individual levels too. Stay inspired Stay green!